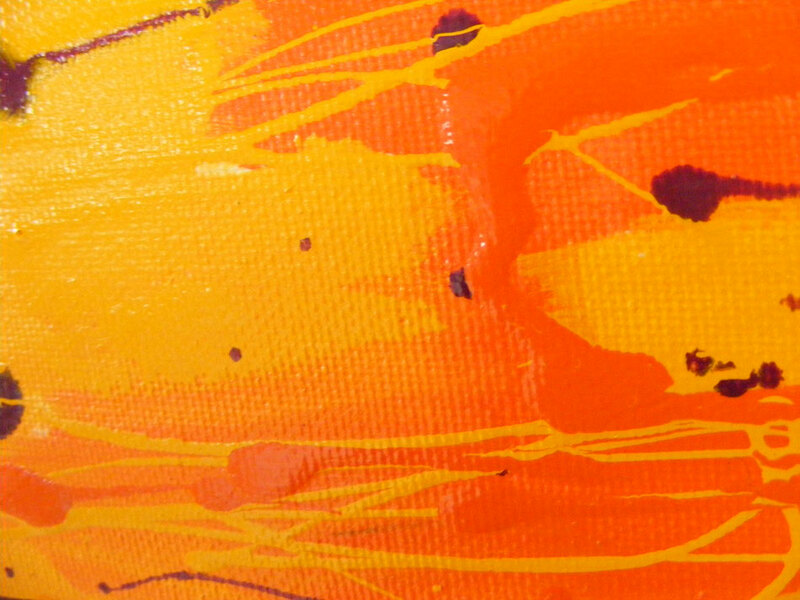 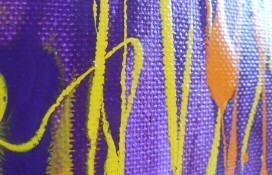 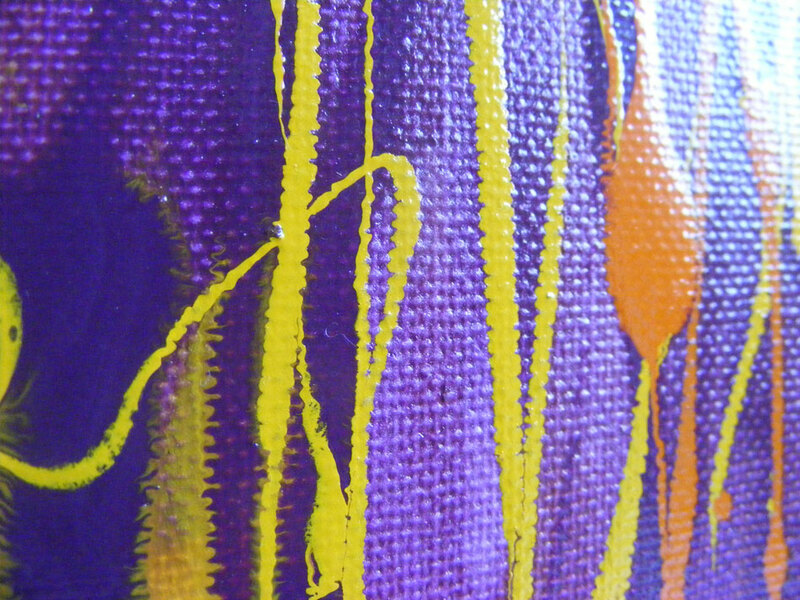 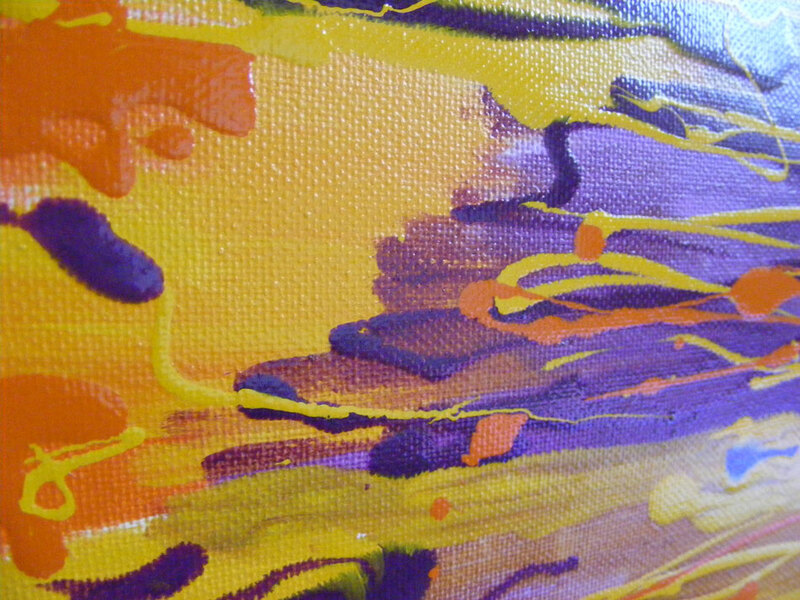 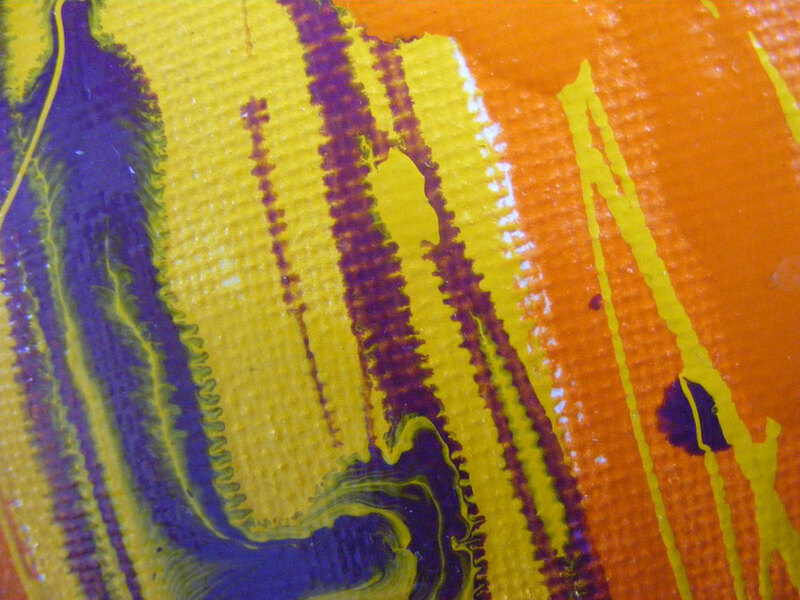 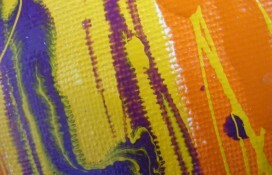 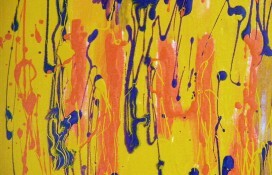 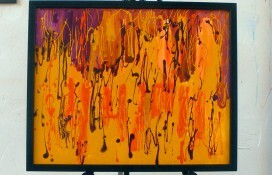 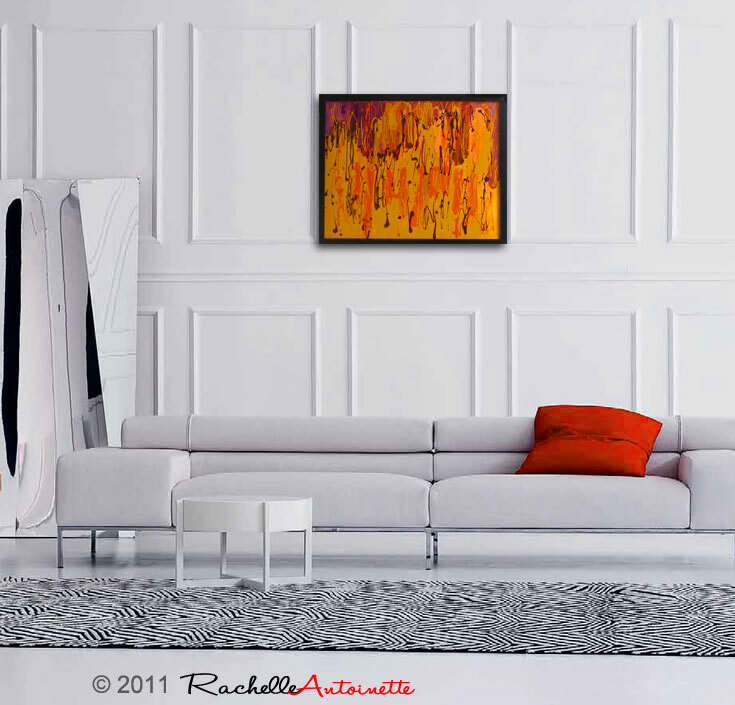 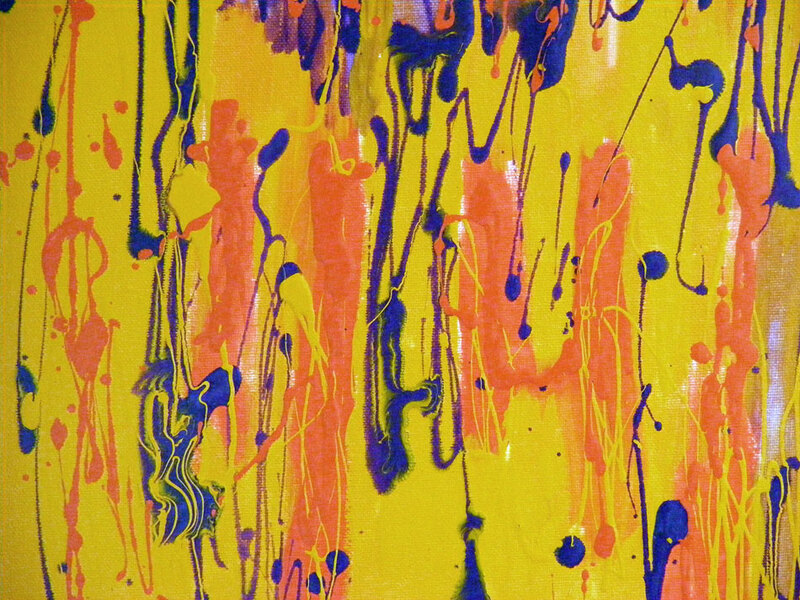 Orange, Yellow and Purple Abstract Art. 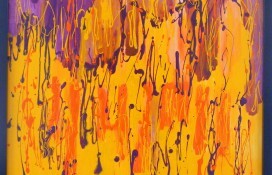 As her name implies Dysis (translates “the hour of sunset” ) is a piece of abstract art that encompasses all of these qualities that most of us experience when the movement of the sun hits the horizon , quantified by carbon atoms and particles she is one of the most beautiful things you have seen. 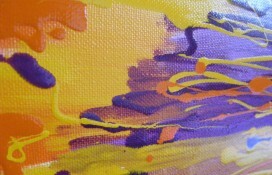 Rich, warm sunset colours complement and contrast each other in this relaxing painting. 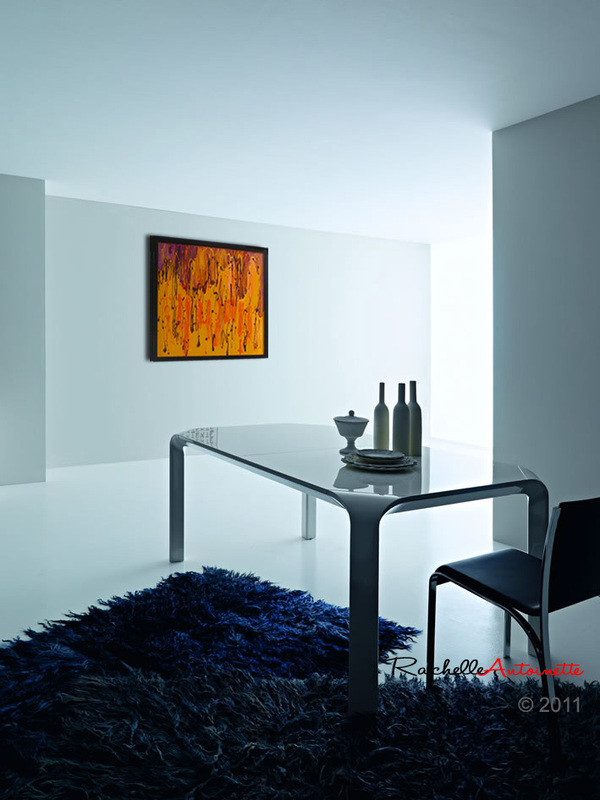 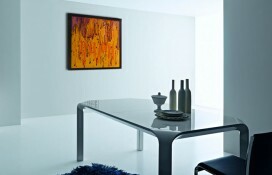 The paint has been applied in layers to create depth and a surface texture to create an unusual and contemporary look. 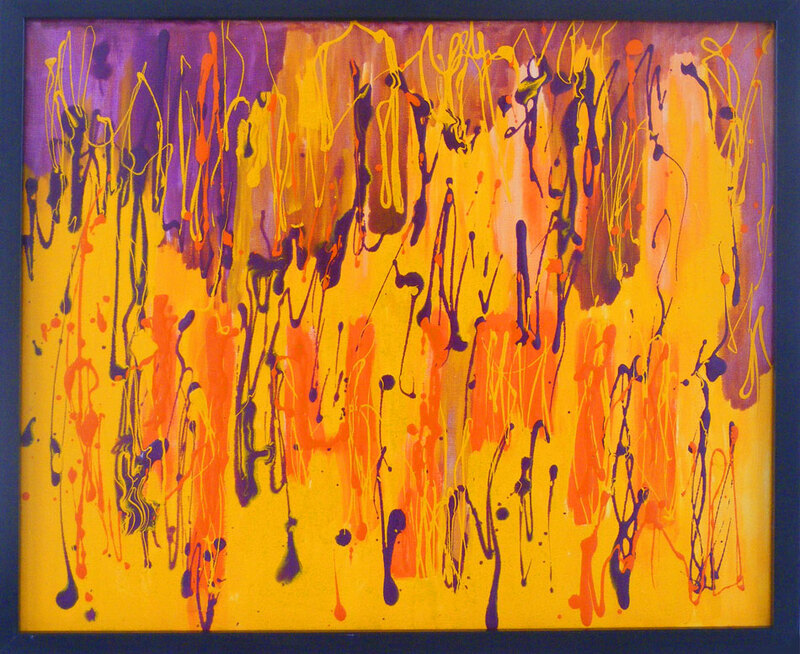 Warm graduated orange and yellows offset by deep purple make this sunset abstraction an interesting focal point for any room. 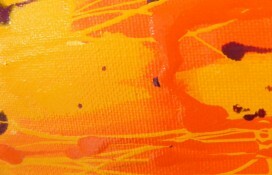 Mediums : Acrylic and Enamels on triple primed canvas. 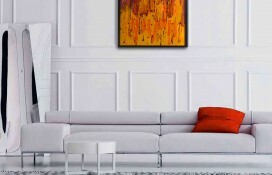 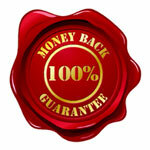 Buying Status : Dysis is in Collection of Artist . 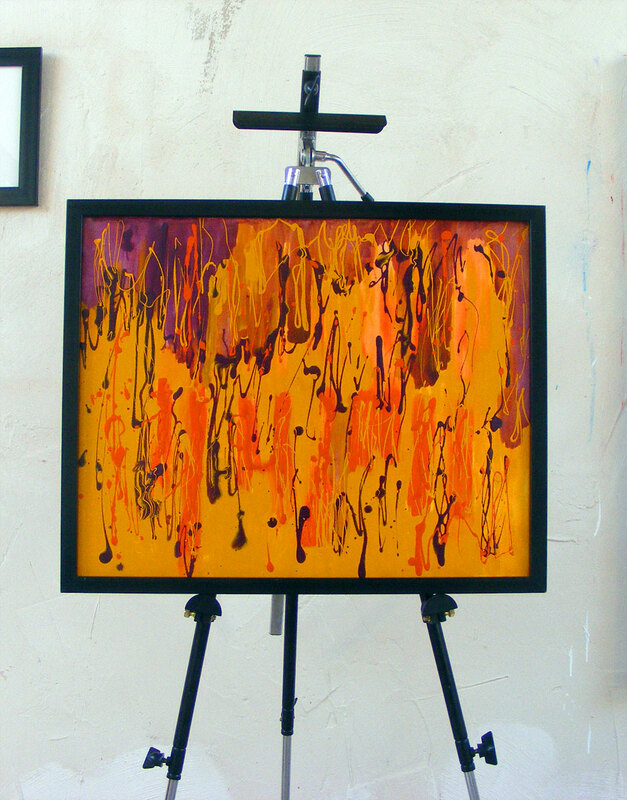 For furthur enquiries or to commission a similar piece please contact me in the first instance and I will be happy to help.